Description: Our goal is to Showcase, Question & Explore companies changing the way the world uses data and security using Blockchain Technology. Our aim is to create a platform to learn about the opportunities and advancements brought about by the invent of Blockchain. 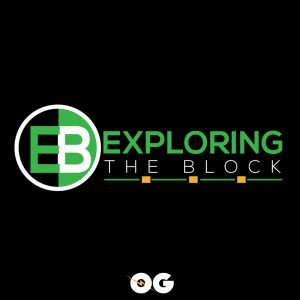 Through uncovering and interviewing companies utilizing Blockchain technology we hope to explore the potential impact this technology will bring to us all, this is why we created “Exploring the Block” to provide you the most up to date news and insight into this new frontier. Nicole Herschik, CFO and Jolene Oxborrow, GMO -Implementing a payment platform for both on and offline businesses throughout the world that is near free, fast and secure.While providing quick, economical access to payment and transfer platforms equally across the world including the millions of unbanked.Utilizing our high tech wallet, exchange and ATM network provide a cost effective and fast solution for cross border and local transfers and exchanges.